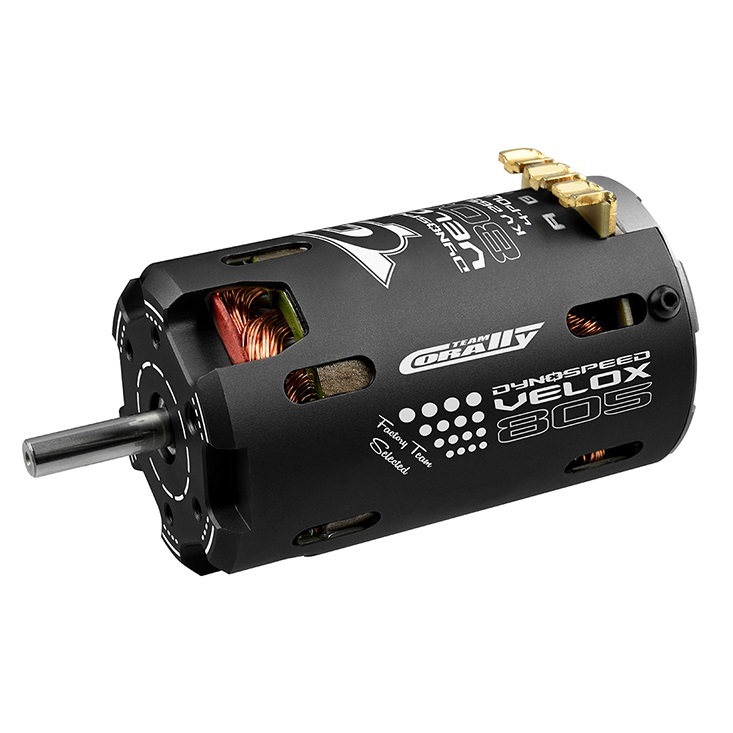 The Team Corally Velox 805-4 Pole 1/8 on road class brushless motor series is a high performance motor line developed using the latest technologies. We at Team Corally's R-D department only have highest efficiency and maximum power in mind, when we designed this line of 1/8 Class motors. They feature high quality oversized bearings, sintered Neodymium magnets and a superior electromagnetic design. Extra cooling vents and a 2 piece can design.